Shaürie would be a good idea to return to the world of the ancient average east. 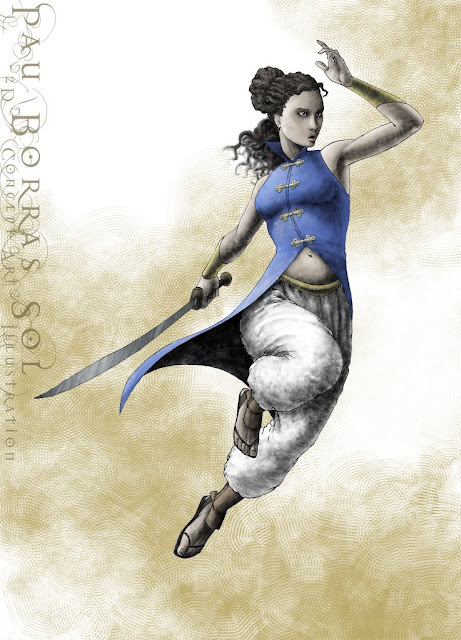 A princess of persia that could revitalize the big games of adventure, action and platforms. The graphic language is very gratifying and also relatively faster than previous processes. The black nevertheless makes dirty in certain way the color. It would be an appropiate skill for the most traditional illustration of books and stories because the final score remembers the engraving skill. A current and classic way of working.